Women and girls and their programs, projects, significantly benefit from the research, references, and resources, for advocacy and activism, provided by the Women’s UN Report Network - WUNRN. 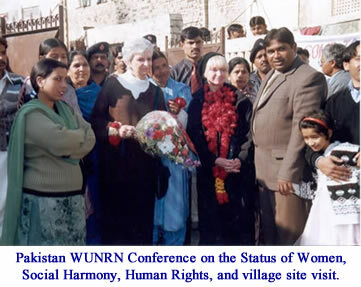 WUNRN, based on a UN Study, focuses on the human rights, oppression, and empowerment of women and girls all over the world. We invite you to subscribe to the WUNRN ListServe - Contact: info@wunrn.com. Link to WUNRN ListServe Releases: http://www.wunrn.com/news/news.htm. WUNRN is part of the US NGO IRS 501.C3, The Tandem Project. Your contribution to WUNRN will be tax deductible in the US and show as Tandem Project on your credit card statement.